The Samsung Galaxy S8 and S8 Plus are newly and latest flagship smartphones from Samsung Device Manufacturing Company. The both devices were equipped with nice features and functions that make one have interest whenever he/she set eyes on the specs. Most of us have been waiting for the release date and price of Samsung galaxy S8 and S8 plus after getting to hear the news concerning the rumors about the online leak specs in the last previous days. So, if you have interest in the both phones, below are their specifications and prices in Nigeria, USA, Kenya, India and Europe. Meanwhile, Samsung Galaxy S8 device features a 5.8-inch super AMOLED display and runs on the latest Android 7 Nougat straight out of the box. Has a Non-removable Li-ion battery of 3,000 mAh capacity, it is also embedded with a 4GB RAM and a whooping 64GB expandable ROM. Also has a Dual 12 megapixel camera for both front and back cameras. You can check out the specification and price of Samsung Galaxy S8 phone below. 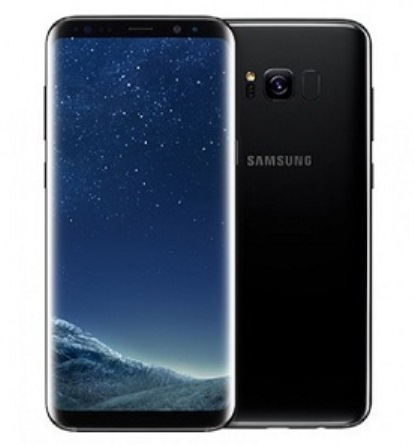 Samsung Galaxy S8 plus, which happens to be the bigger version of regular Samsung S8, is featured with a 6.2-inch super AMOLED display and runs on the latest Android 7 Nougat Operating System. As the bigger among the other, it came with a Non-removable 3,500mah lithium ion battery and so many more features which can be seen below. The Company manufactured the both device to have water and dust resistance proof, not only that, they both features fingerprint and Iris recognition. Scroll down for the full specs and prices of Samsung Galaxy S8 and S8 Plus in various countries which is been made available recently. Also, Check Out:iPhone 8 Plus Specs And Price.